Happy Thursday everyone! I don’t know about you but I am SO happy we had an extra day in February this year. I can’t even start to begin to tell you about all the things I crammed into yesterday – whew! 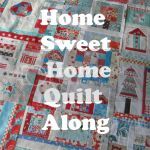 Anyway, now that it’s March, it’s time for me to introduce you to the Home Sweet Home Quilt Along Block 10 Designer – Michele Foster of the Quilting Gallery. She was nice enough to fill out a little interview for me so we could get to know her a little before we get started on her super adorable block – seriously! 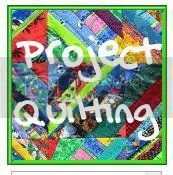 If you want, I’m okay if you quick scroll down for a sneak peak as long as you scroll back right away to meet this fantastic motivating and inspiring woman that brings so many quilters together! I don't really have a style per se. 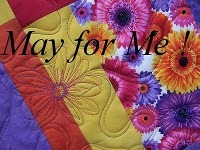 I love scrappy quilts, modern designs, traditional designs and appliqué. I love trying new techniques. Maybe, over the years, I'll develop an actual "style". I rarely ever follow another person's pattern exactly and most often add my own personal touch or changes. 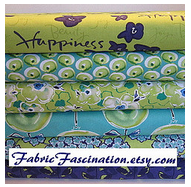 Many of my projects include hand dyed fabrics as they, along with batiks, are my favourites. 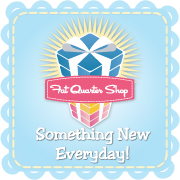 I started quilting many years ago, but took a long hiatus (10 or so years) to start my own business, move to another city (Ottawa, Ontario) and explore other crafting projects (I love to crochet too!). It was the quilts in a local quilt shop's window that first attracted me to gorgeous fabrics and quilting. 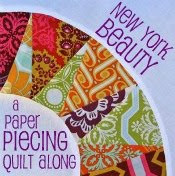 Now it is the fabulous quilting bloggers and tutorials that keep me at it. I have several favourites, but here's one I haven't shown lately. This was a wedding quilt I made for a couple of dear friends that got married back in 2008. It uses the disappearing nine patch pattern. I'd love to make one for myself one of these days. Can I say my own? LOL, I guess not. Really, I follow several hundred blogs so picking just one is difficult; however, I will pick Erin Russek's One Piece at a Time. I'm a huge appliqué fan and Erin has taught me so much since I started following her a couple of years ago. I like almost all, but if I had to pick just one, it's the actual piecing of the blocks. Second choice would be the final hand stitching of the binding to the back of the quilt. Basting and borders. I just don't have the physical space in my apartment to baste a large quilt easily. It's always a huge production! I also dislike attaching borders ... boring! Favorite Adhesive: Depends what I need it for. I really like June Tailor's quilt basting spray. I also use the Lapel glue stick often for appliqué and even binding. Beverage of Choice: Coffee for the day time or rye and diet coke for the fun time. Sweet or Salty? - Salty! Number 1 on your Bucket List: Well, it was get a dog, which I did last year. Milo is almost six months old. Now on my list is travel, travel, travel .. just need the moola to do it. And now that we know a little bit more about Michele it’s time to see her fabulous block! 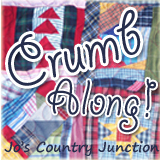 Click HERE to go to the Quilting Gallery’s website for instructions on how to create the next adorable block in our quilt!